From its famous caricatures and actors’ menu to its rich history, this renowned eatery is the ideal place for theater history and a great meal. “As long as there is Broadway, we’ll always be here,” says Max Klimavicius, the current owner and president of Sardi’s restaurant, the landmark eatery in the heart of the New York Theatre District. Since 1921, Sardi’s has been Broadway’s dining room, playing host to opening-night parties, press receptions, and contract negotiations. It’s the perfect stop for drinks or a meal before or after a show. The cozy bar and main dining room on the first floor offer intimate eating experiences of snacks or entrees, or you can watch the lights on the Great White Way from the second-floor bar, which offers a great view of 44th Street. Klimavicius states the place is like a theater museum, with its red walls covered with caricatures of just about every celebrity of the past 100 years. After Sardi’s son, Vincent Jr., took over the management of the restaurant, he wanted to pay Gard in cash, but the artist refused and continued to take his wages in food until his death in 1948. Gard was succeeded by three others — John Mackey, who had a drinking problem and didn’t last long on the job; Donald Bevan, also a playwright, who coauthored Stalag 17; and the current artist, Richard Baratz, an engraver by trade who started his Sardi’s gig in 1974 and has held the position the longest. The first 300 of Gard’s pieces have been donated to the archives at the Lincoln Center Library for the Performing Arts. There are now 1,200 caricatures on the walls, from Lucille Ball, Jack Benny, and Sammy Davis Jr. to Samuel L. Jackson and Tom Hanks. And who could forget the portrait of Kermit the Frog and the scene in The Muppets Take Manhattan where the puppet amphibian attempts to hang his own caricature on the restaurant’s famous walls? 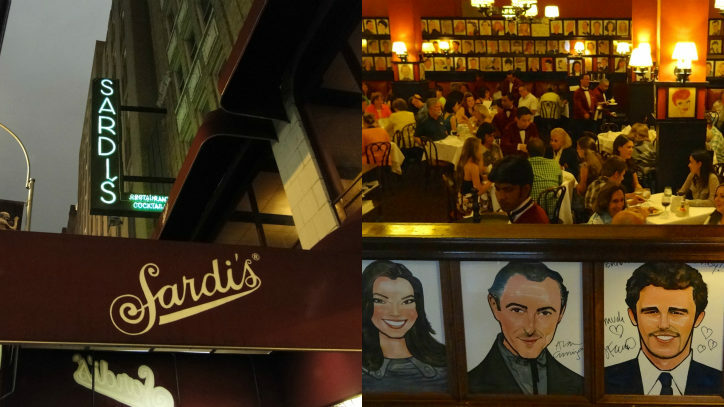 Many other films and TV shows have shot in Sardi’s. Don Draper had cocktails there in Mad Men, and Kramer from Seinfeld is seen chowing down with the theater crowd after falsely accepting a Tony Award. A brief list of movies with scenes set in the restaurant, most with show business themes, includes: The Velvet Touch, But Not for Me, Please Don’t Eat the Daisies, No Way to Treat a Lady, Author! Author!, The Fan, Woody Allen’s Radio Days, and Martin Scorsese’s King of Comedy. 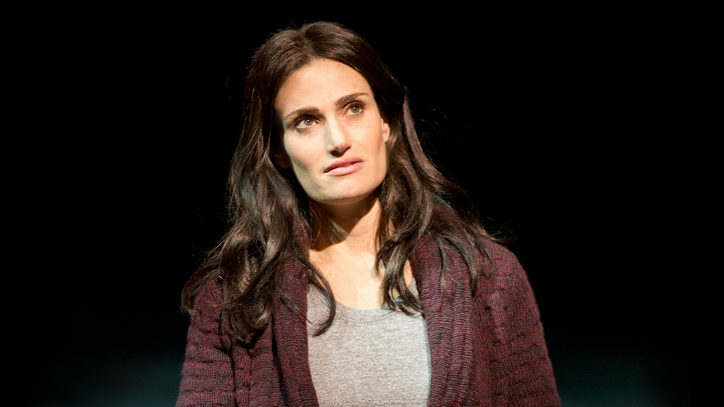 While Sardi’s no longer extends credit to financially strapped performers, it does have an actors’ discount menu, available to any customer presenting his or her paid-up Equity or Screen Actors Guild card. 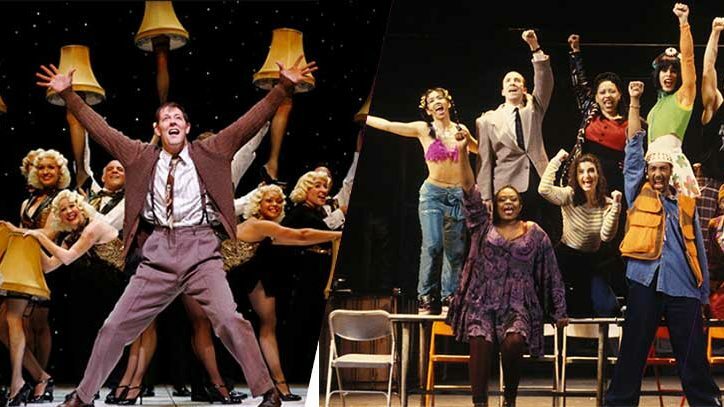 On Wednesdays between the matinee and evening performances, if you are acting in a show, you can get half-off the actors’ menu discount. After Vincent Jr. retired, Klimavicius took over the management. He’s seen many changes during his tenure, particularly the alterations from the shadiness of the neighborhood during the late 1970s to its current family-friendly environment. “I remember while the Marriott hotel was being built in the early 1980s, they used to have private security patrolling the area. I remember taking my life in my own hands walking down the block to get my car between 8th and 9th Avenues late at night. It was very seedy, I don’t know how we survived it, but I guess we did.” While the restaurant does not host as many opening-night parties as it used to — Klimavicius explains they no longer have the space to accommodate the ever-growing numbers of producers and the press expected at such events — they are still the home of such annual industry events as the Outer Critics Circle Awards dinner, the Drama League nominations, and, of course, the unveiling of the latest Sardi’s caricature. Like the world-weary glamour gal in Stephen Sondheim’s Follies, Sardi’s has seen it all and, my dear, it’s still here.